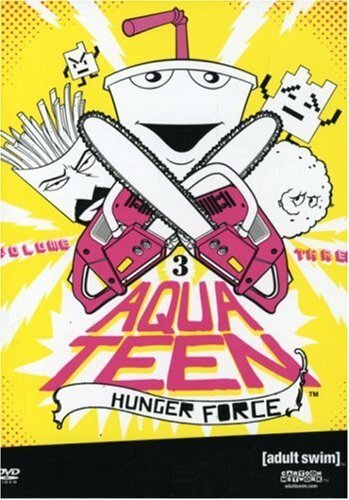 Aqua Teen Hunger Force (Vol. 3) - BUY THIS DVD! - OWN IT NOW! Master Shake, Frylock, and Meatwad are walking and talking food products who spend their days solving mysteries and coping with general problems regarding adolescence. Part of the network's "Adult Swim" series, which targets 18-34 year olds, AQUA TEEN HUNGER FORCE is strikingly original entertainment. THEN SEND IN YOUR NAME AND ADDRESS TO contests@efilmcritic.com. Put "I LOVE CARL!" in the subject line and cross your fingers. We will draw names and one of the DVDs from WB will be yours. Only 1 entry per household.